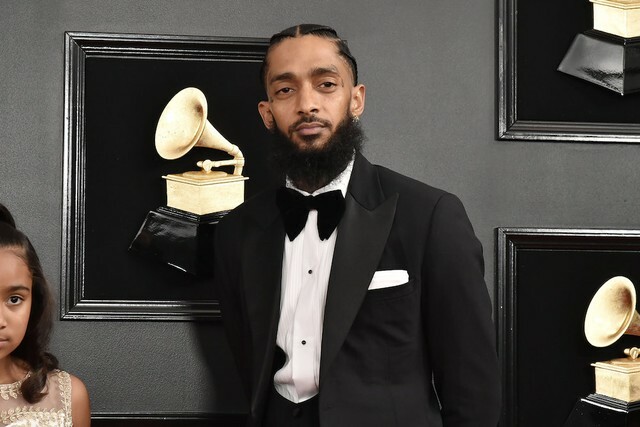 Rapper Nipsey Hussle was slated to meet with representatives from the Los Angeles Police Department less than 24 hours after he was shot to death outside his Marathon Clothing store in Los Angeles on Sunday afternoon (March 31). The news was revealed by LAPD Police Commissioner Steve Soboroff in a series of tweets paying homage to the 33 year-old MC, who died following the shooting that also injured two other unidentified victims. In response to a tweet from Roc Nation expressing their grief over the loss, Soboroff revealed that his team was slated to meet with commuinty acitvist Hussle to discuss gang violence on Monday (Apr. 1). “We (@LAPDChiefMoore and I) were meeting, at the request of @NipseyHussle with him and @rocnation tomorrow at 4pm to talk about ways he could help stop gang violence and help us with kids. I’m so very sad,” he wrote. Late Sunday night, Atlantic Records paid tribute to the late artist (born Ermias Ashedom) as fans, friends and fellow artists paid homage to a hard-working rapper who always kept one eye on trying to uplift others. The LAPD said during a press conference that the investigation is being handled as a homicide and that there is one male black suspect. The shooting came just weeks after Hussle revealed that he was planning on finishing a joint album with Meek Mill for the summertime.